The arrest of Chinese telecommunications CFO Meng Wanzhou has sent shockwaves through the global markets. The context of the smartphone industry and the challenges facing big monopolies from Russia and China is vital background information for anyone who wants to understand these recent, dramatic events. One of the favorite talking points of defenders of free markets is “capitalism made your iphone.” According to the meme, those who believe in socialism or Marxism are presented as total hypocrites if they own smartphone as only the profit system’s rewarding of entrepreneurship could ever produce such a technological creation. However, a little investigation reveals that the entire premise of the meme is false. The first cellphone was created by Leonid Ivanovich Kupriyanovich, a Moscow-based engineer in 1955 who conducted his research in state-run facilities. Furthermore, the screens of most smartphones are illuminated by Light Emitting Diodes (LED), the first of which was invented in 1927 by Oleg Vladimirovich Losev. Losev was also a Russian who conducted his research in state sponsored facilities. The computer revolution itself can largely be attributed to the work of Alan Turing and his decoding machine created during the Second World War. This research was done in the context of heavy military control over industry, when Britain was aligned with the Soviet Union against Nazi Germany, hardly a free market situation. Cell-phones are simply not the product of some objectivist fantasy about a misunderstood “great man” tinkering in his garage unabated and untaxed. Cell phones, LED lights, and the Computer Revolution itself came about as a result of central planning, and the overall mobilization of society by the state to reach technological and production goals. Today, the largest cell phone manufacturer on earth is Huawei Technologies based in the Chinese tech hub of Shenzhen. This huge manufacturer of smartphones that are purchased and celebrated all over the world, is closely tied to the Chinese government and military. The Chief Financial Officer of Huawei was recently arrested in Canada at the request of US officials. Meng now faces extradition to the United States. Charges have not formally been named, but it is widely speculated that it is related to accusations that Huawei has violated US sanctions against the Islamic Republic of Iran. 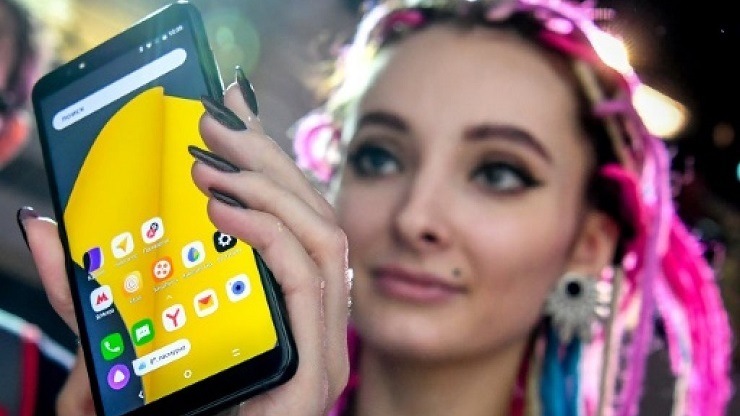 It is perhaps a strange coincidence that just as Huawei’s CFO has been arrested, Yandex, the Russian internet corporation has announced that it is producing a smartphone of its own. On December 5th, the world became aware that soon a “Yandex Phone” produced by the government subsidized tech entity will be available for purchase. Yandex has also recently gotten in on the ride hailing and other high tech endeavors. Even the deeply impoverished nation of Angola, led by the Socialist MPLA, was able to create its own independent cell phone company. Isabel Dos Santos utilized revenue from the state controlled oil corporation, and assistance from the People’s Republic of China, to create and expand a corporation called Unitel. Santos push for the creation other independent telecommunications apparatus in southern Africa and in Portuguese speaking countries. Prior to the arrest of Meng Wanzhou, the US FBI urged Americans not to buy Chinese smartphones. The reason given was the corporation’s ties to the Chinese government, and fears that information could be compromised. However, it is widely known thanks to the revelations of Edward Snowden, that the National Security Agency of the United States has a close relationship with many American cellular and tech companies. Google, Facebook, Apple, and other high tech companies have routinely cooperated with federal officials, and the individuals whose information is being subpoenaed or requested from the tech giants is often never informed that their privacy has been violated. In the context of a rising challenge to the western smartphone monopolies by independent manufacturers around the world, one must find it suspicious that Federal Officials in the USA have suddenly become concerned about the privacy of American citizens, and alleged sanctions violations by China’s telecommunications giant. One must wonder if underneath the hysteria, there is a desperate attempt to preserve a western semi-monopoly that is quickly slipping away.